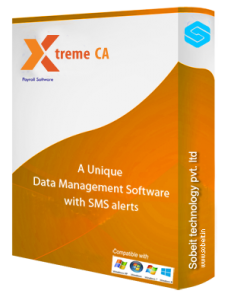 Xtreme CA Data Manager is specially designed software that helps our profound and capable CA’s to manage their daily activities. It provides them a platform where they can store all the relevant and critical information regarding work with proper security measures. We will all agree that how essential is data in today’s highly competitive world. With technology on its high peak it is a pleasure to bring forward the CA Data Manager that will help you handle your paper work. The software has been designed in a manner that it helps the user to register all client information and payment details in an organized way. This further helps to generate a more visible form of raw data which can be brought in to usable resource and can help increase your income. Equipped with the latest technology and high end technical support it will ease you the tedious routine maintenance and handling less. We have brought forward an experience which will help our clients to expose their capabilities beyond capacity. One login will bring access to all the required information related to work and will help you divulge into the technology world and all the required data will be under your finger tip. Employee performance report to view the periodic performance of an employee for appraisal process.